All of this rage, Summer of Rage ‘17. Build your bridge and get over it. At no point in time has CCP realistically ever said that the decisions they make would be fair, make sense, or make everyone happy. All that they have ever promised us is that their word is law and what they say goes. To quote John Lydgate, “You can please some of the people all of the time, you can please all of the people some of the time, but you can’t please all of the people all of the time.” Simply put, CCP is the hero we need, but not always the one we want. They make unpopular decisions because it might not be game-ruining today, but some day the way that we play, that we will continue to play, finding the optimal optimal path to do a task, will irreparably ruin the game. I personally was on that path. I have achieved the 260mil ratting tick in a Hel. I have a lot of Rorqual alts, and I have an SP farm (PS Ghost Training is an exploit, don’t do it). I was trying to find the fastest and most entertaining way to keep my pockets lined with ISK. The most ISK per click. Don’t take this article as me white-knighting CCP. I am equally as frustrated as many of you. I was on comms with a friend of mine who went to Fanfest that made 66bil from selling all of his Fanfest ships from all of his accounts. It made me feel frustrated, furious that purely because he went to Iceland he got ‘given’ 66bil. RMT much? Then realistically I personally have been on the right side of metaphorical EVE changes, most of us probably have been too. Speculated on Zydrine? Currently speculating on moon goo? Thinking about hoarding Gneiss? I bought capital SKINs from the YC118 Crimson Harvest, paid under 1bil for each of them, sold them for 10bil+ each. The thing is this, they are there to maintain the world, balance things as they see fit. Not make you happy. 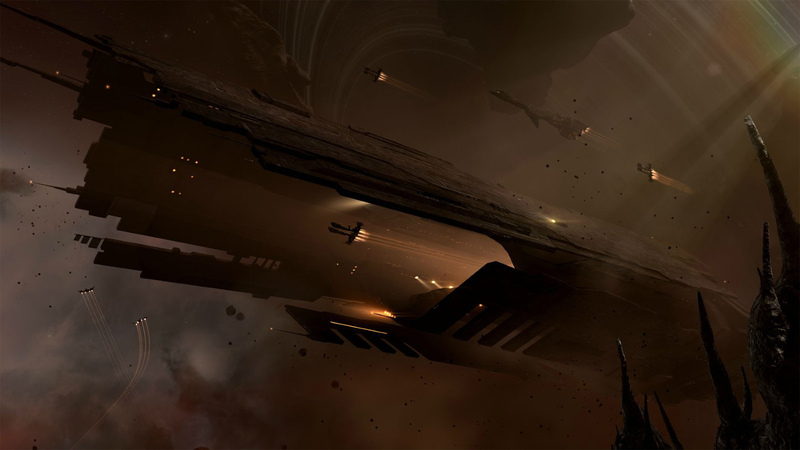 EVE is, and always has been a player-driven story where you get to choose your own adventure. That has always been at the core of EVE. We have space tyrants and people who’s reputation is above reproach. We have people who enjoying mining and space trucking. That is the adventure that they have chosen. We all have to live in CCP’s world, following their rules both physical (mechanics and balance) and metaphorical (EULA breaches). 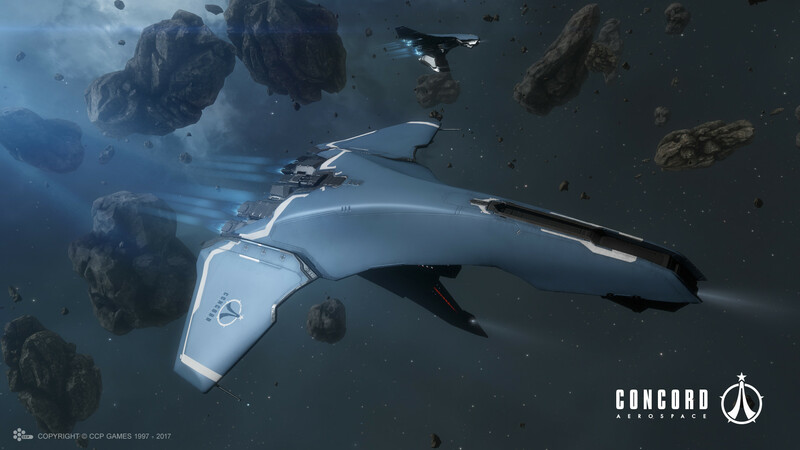 Originally, CCP said that you would get one ship pack per Fanfest ticket. That has been widely pointed out. However they decided, for whatever reason, that if you attended, all of your accounts will get the ships. I’d hazard a guess, that even if they had only released one ticket per ship, it might not have been so insane for some people but they probably would also made some pretty good bank on those hulls because they would have been rarer. CCP nerfed supercarrier/carrier ratting pretty hard, and they specifically went after the fighter mechanics to do it. Cool. Might not have been the best way to do it. Might not have been handled the best way. However I refer you to one of the statements that I made earlier in the article. “…their word is law and what they say, goes.” That is the end of the argument. A discussion may take place afterwards, but at that point in time you’re attempting to appeal to people that have already made a decision, based on the evidence that they have at their fingertips, which unfortunately for you is better than what you have. If something gets nerfed, go find the next thing. Get over it. Go choose your own adventure, find that next hilariously broken thing, and go make a crap load of money before it gets nerfed. Your alternative is to throw your toys out of the pram, rage quit and unsub. However I ask you this, How is you quitting going to specifically make the game better? How is it going to address those fighter mechanic changes? If anything, all that will remain is people who can, and will live with the changes. There is so much Nerd privilege going around on Reddit and Twitter. The Devs don’t work for you. Yes, they get paid out of the pool of money that your subscriptions go into, but they work for CCP to keep the EVE Online world in balance as best they can, with us constantly trying to make it unbalanced.